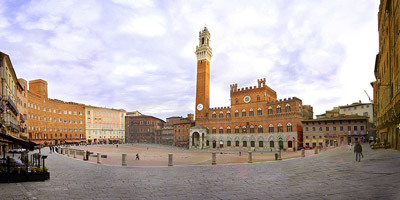 Your tour starts from Siena, one of the most beautiful cities of Tuscany. The city is famed for the "Palio", the annual historic horse-race and for its Duomo, the art-filled Cathedral that features works by Michelangelo, Bernini and Donatello. In Siena day tour you will enjoy a walk through the typical narrow medieval streets, admiring the highlights of the city and you will have time for lunch. 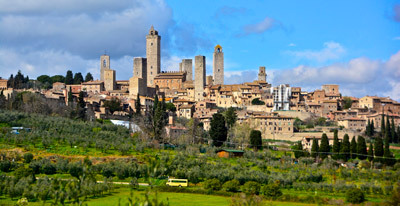 You will spend the rest of the afternoon in San Gimignano, one of the most charming and picturesque Tuscan hill towns with medieval towers built for the richest families of the time. Here you can choose to visit the Cathedral, climb the “Torre Grossa”, take pictures of the gorgeous landscape and enjoy a delicious gelato in the Cistern Square.